With online shopping cart abandonment averaging 69.23%, if you want to avoid losing money and customers, you need to reduce your cart abandonment rate. After all, getting people to visit your product pages and engage with your store isn’t easy. While your audience segments have unique characteristics, they seem to exhibit common patterns in terms barriers they face in making a purchase. 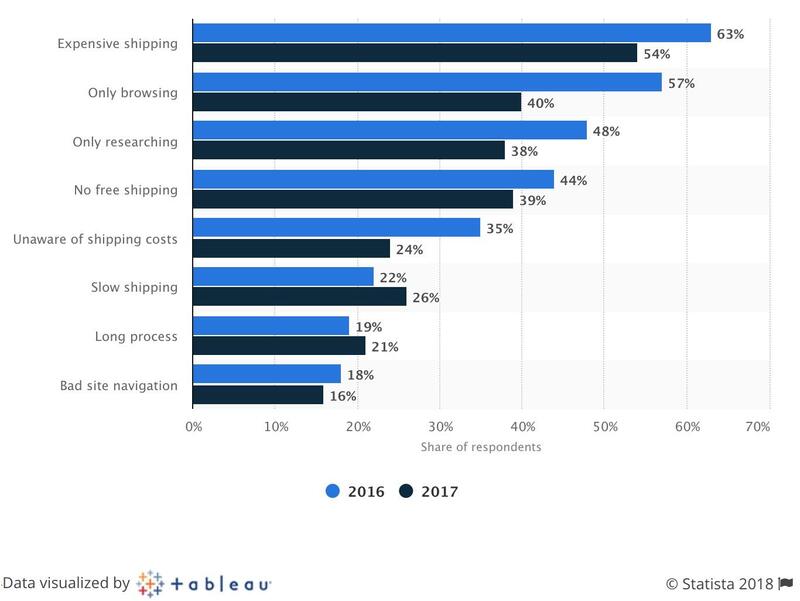 According to Statista, common reasons for shopping cart abandonment include the following. While some of the above reasons are something that you can’t address as a store owner, there are surely some that you can act on without much investment. There are proven ways to reduce your cart abandonment rates without completely revamping your e-commerce store. Here are 13 ways to do that. 93% of consumers reported that they would be motivated to buy more products if the retailer offered free shipping in some form. A shopping cart abandonment pop-up can improve revenues by up to 10%, simply by offering a simple coupon code. 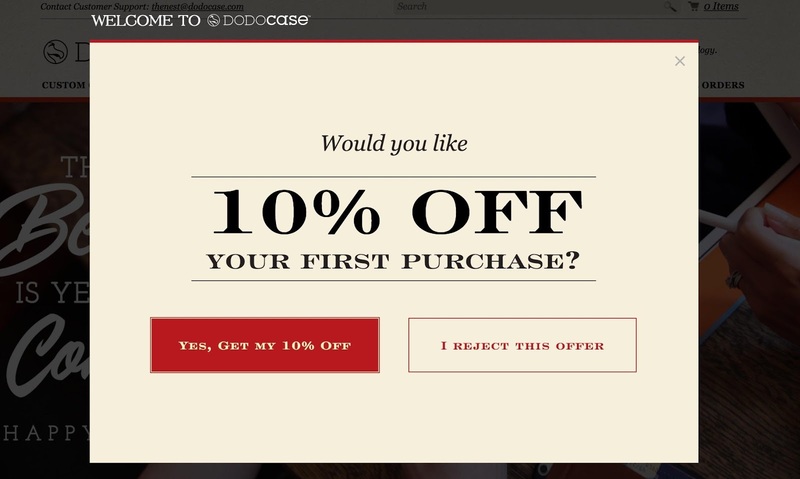 Dodocase uses an exit intent pop-up to get the attention of first-time visitors to its site. It offers 10% off a first purchase. 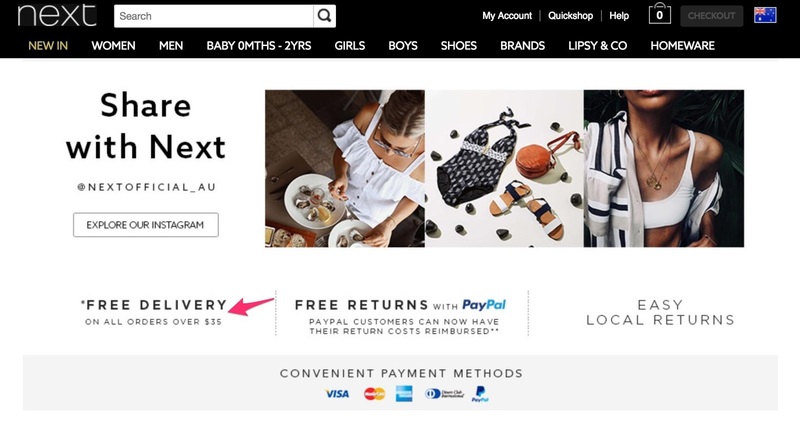 How can you use exit intent pop-ups for your store? Give your visitors a choice. In other words, allow them to turn down your offer. A visible shopping cart keeps customers aware at all times of their purchase process and how much they are buying, so there are no surprises upon checkout. 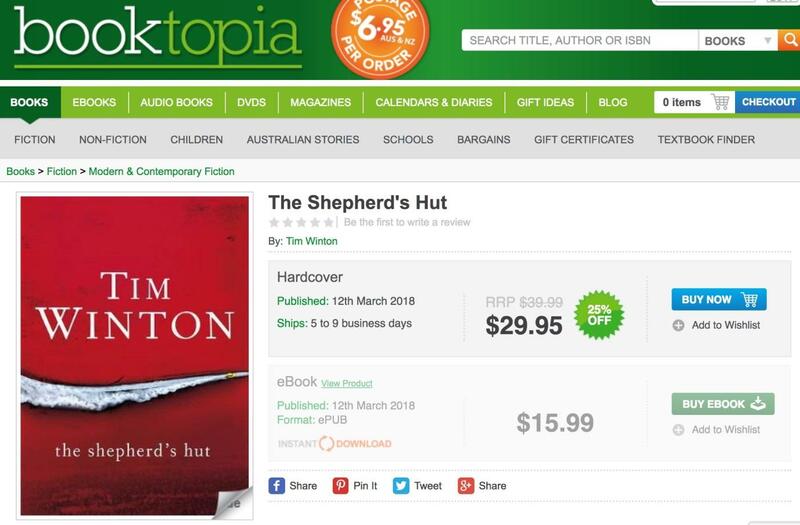 Booktopia helps customers with a cart that is always visible as you navigate the site. Studies show that with better checkout design the average e-commerce site can expect an increase of 35.26% conversion rates. With almost 70% of shopping carts abandoned, keeping the cart visible can help to keep customers on track with what they are buying. 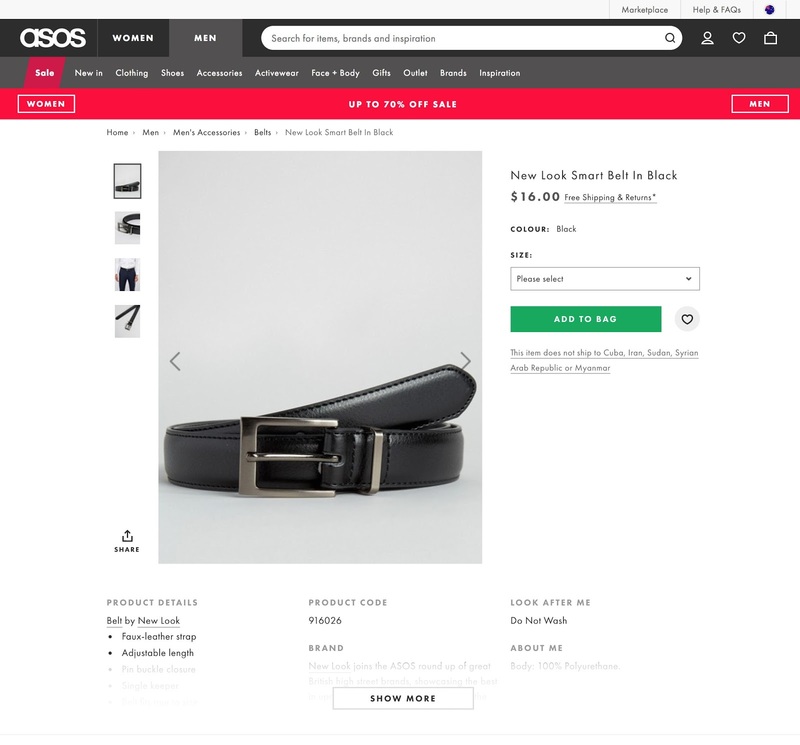 ASOS, for example, provides the option of viewing previously saved items on its checkout page if you return to the site within 60 days. So how do you make the shopping cart visible to users? Ensure that from the moment a user puts a product in a cart, he or she knows where to check out. Your visual cues should command attention. In other words, they should be in contrast to the rest of the site design. Ensure your checkout area is not hidden. When a visitor places an item in a cart, insert a CTA that nudges them towards checkout or towards related items. 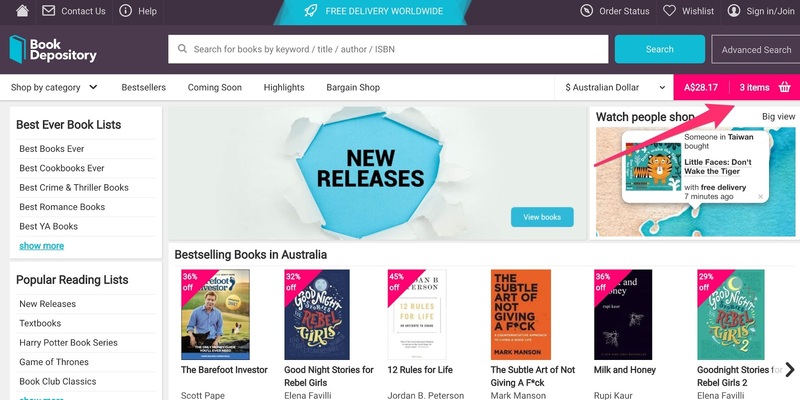 For example, book depository shows this pop-out when you add an item to your cart. Eight out of 10 US retailers offer a guest checkout option to their customers. Apple and Walmart do so. 25.6% of online consumers would abandon a purchase if they were forced to register first. You may be tempted to force users to register their details before they check out. Don’t. It’s a quick way to lower your conversion rate. Not all customers want to set up an account before making a purchase, largely over concerns for their privacy. A customer ready to buy doesn’t want to fill out pages and pages of personal details and create an account before making a purchase. Take ASOS, for example (again). 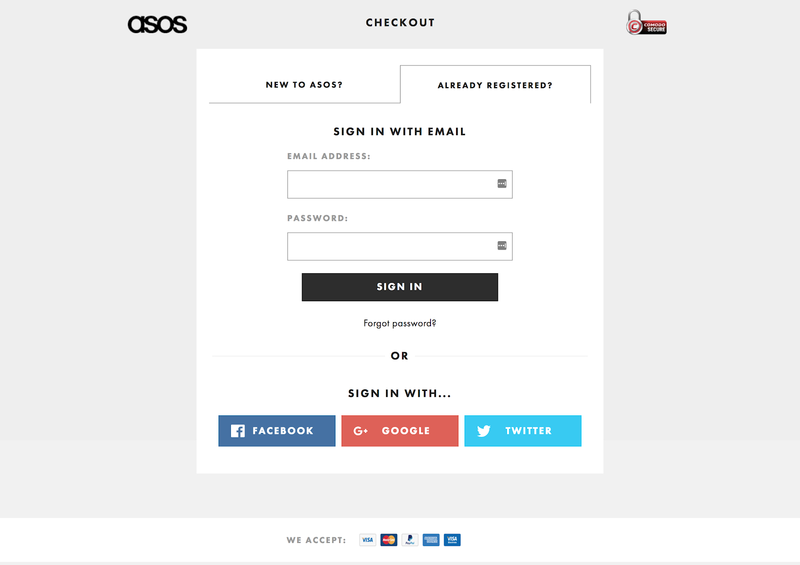 ASOS halved its abandonment rate at its registration page. How? By removing any mention of creating an account. reviewing, modifying, or tracking orders. processing returns, exchanges, or refunds/credits, whether manual or automatic. linking customer orders with loyalty programs or something else where accounts are required. assisting shoppers with their orders or shipments. How often are customers likely to shop with you? Are customers likely to reorder? Will returns, refunds and exchanges be a hassle without account information? Could account information be used for other purposes, such as memberships, courses or bookings? It’s important to offer a checkout process that is convenient for the customer, as 56% of respondents expect a variety of payment options on the checkout page. Another study showed that 8% of consumers abandoned their checkout because there weren’t enough payment methods. 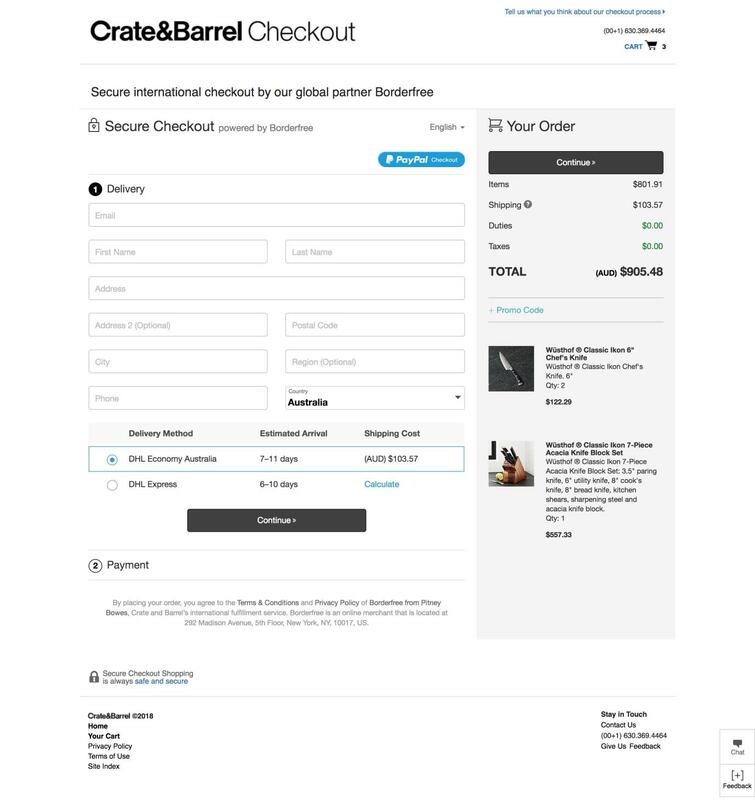 Crate & Barrel’s form makes it simple for users to sign up with all essential pieces of information available to the user. How can you make the checkout process user-friendly and fast? Show hierarchy and relevance on your registration pages, so users understand why they have to fill in the fields. Don’t have too many fields in your forms. Show a progress bar and segment lengthy registration processes into simple steps. Make users feel secure and welcome. Be clear about charges and deduction policies. Use field suggestions to help users understand the type of content required in the field. Provide thumbnails of products in the cart. Being accessible to your customers and answering their inquiries is one of the easiest ways to retain them. So, make your contact information easy to find. Better still, offer live chat to help them instantly, to earn their trust and respect. More than 30% of customers expect live chat on your website. For customers visiting a website on a mobile device, this number is as high as 62%. 92% of customers feel satisfied when using the live chat feature as opposed to other communication options. How can you use live chat effectively on your site? Provide access to helpful features like modifying the font size and requesting a transcript of the chat. are knowledgeable about inventory and website navigation. build trust and provide helpful advice to customers. upsell or cross-sell only when appropriate. make note of customer feedback so as to improve your site. are prepared for surges in chat volume. The sad reality is that there is often a lot going on in a person’s life. Shopping online is no different. Your customers expect to be offered all the benefits of shopping online, which includes the ability to return later to an order. A study indicates that 56% of shoppers are not prepared to buy and are simply saving items for later. To win your customers over, saving a shopping cart should be as easy as clicking a button. Users can then return to their order at a later time. 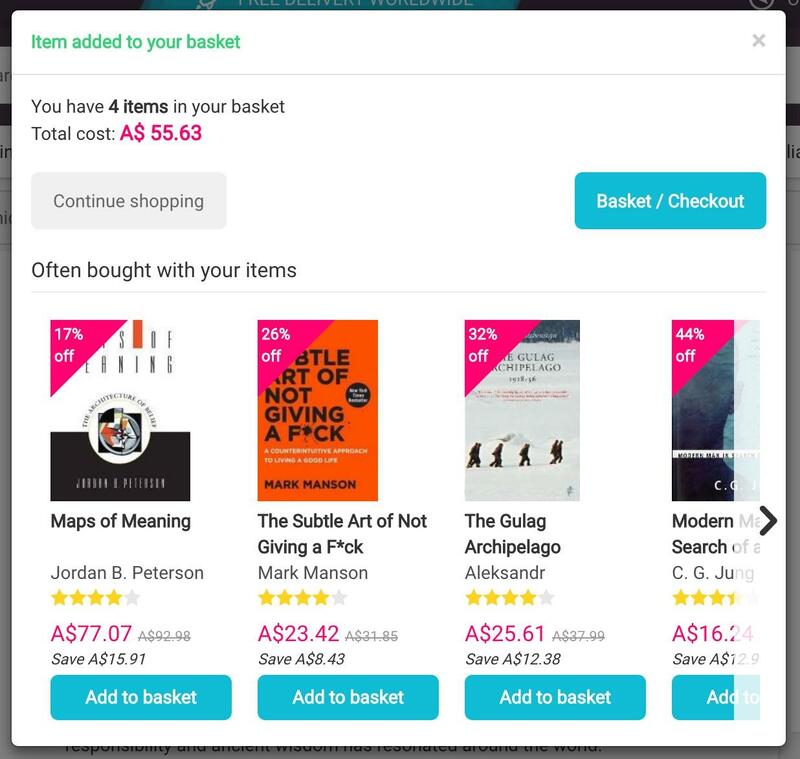 Booktopia allows customers and potential customers to save items of interest in a wish list that they can come back to later. How can you help your customers to save the items in their shopping cart? Get them to sign in or create an account. Use browser cookies to remember a customer’s cart (although most browsers now provide the option of remembering login credentials for sites). Provide the option to save items in a wish list. Whatever method you choose, tell your customers about it, so they know what will happen with their data. A customer who first discovers your site via a Google search or an ad may not trust you enough to make a purchase right away. In fact, Listrak says that on average, 81% of users abandon their shopping carts before making a purchase. Displaying security badges can help instill confidence in your potential customers and reduce cart abandonment. 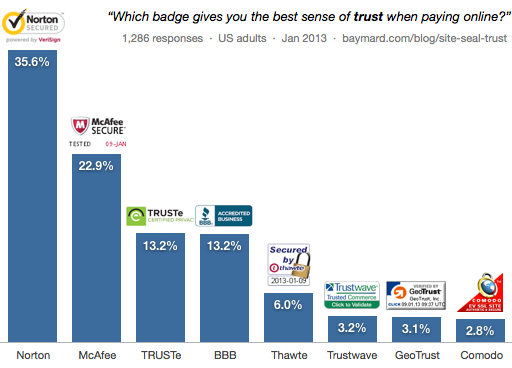 A survey by the Baymard Institute showed that perceived security was of importance to most users. Remember that asking users to fill out a transaction form is asking them to trust you with their personal information and credit card details, which is something that people are hesitant to part with. Display trust seals and security badges prominently, close to the transaction forms. It has been found that 6% of consumers abandoned their online carts due to limited payment options. 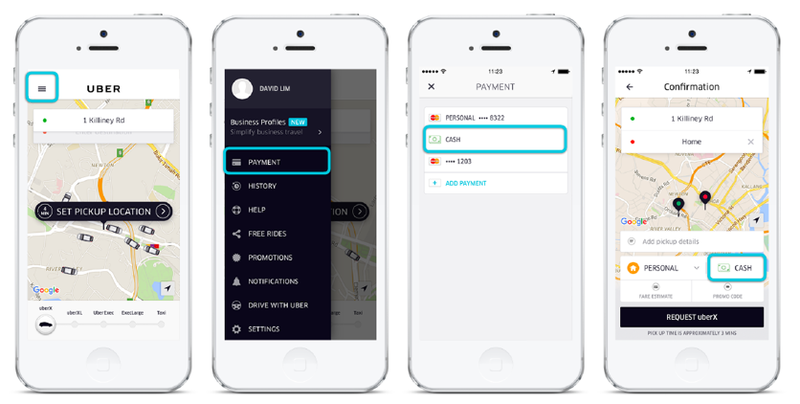 So, implement payment systems that are mobile friendly like PayPal, ApplePay, and credit card processing. This way you don’t have to rely on retargeting in future. 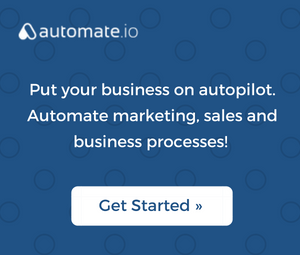 You can convince these hot leads to buy, instantly. You can allow mobile purchases on your site by using a solution that allows mobile payments, such as Shopify or Stripe. Alternatively, Apple have complied a full guide to using Apple Pay for Merchants. Why does free shipping work? Because most people are loss-averse and effort-averse. By offering free shipping you help them to rationalize their online purchase. If shipping costs too much, people are more likely to abandon their cart and visit a local store. The number one reason for abandoning online shopping carts is expensive shipping. Consider a scenario where you are shopping online and discover that your order does not quite qualify for free shipping. Your choices are to pay $5.99 for shipping or to find another item to add to your shopping cart to qualify for free shipping. When encountering this choice, most people would happily increase their order amount. 60% of e-commerce companies say free shipping (with conditions) is their most successful marketing tool. Next offers free shipping on orders over $35. 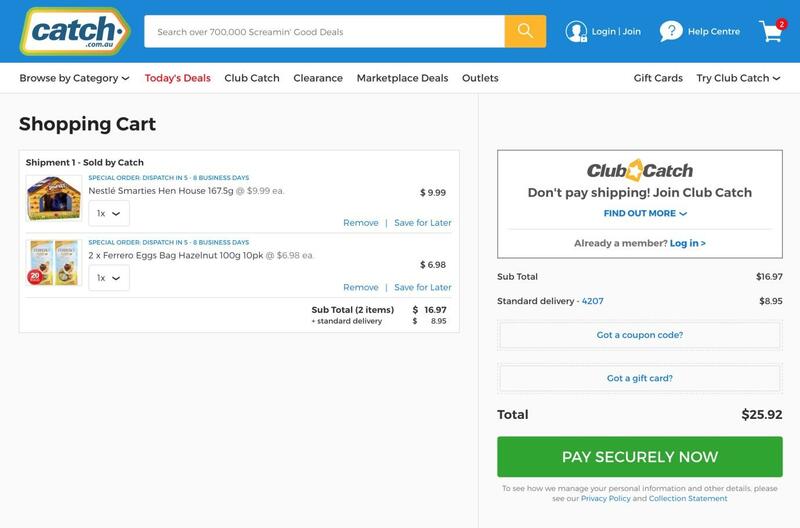 Another site, catch.com.au, offers free shipping if people apply for the Club Catch. How should you offer free shipping? There are two ways. Conditional free shipping sets certain conditions that the user must satisfy in order to qualify, such as a minimum order value, select items, or regular shipping options. Unconditional free shipping applies to all products and every order. Offering money back guarantees allows customers to return purchases that do not meet their expectations. In other words, retailers are offering customers insurance against the perceived risk of the product. Research indicates that retailers can make a profit with this type of guarantee, given certain conditions. Other studies show that the guarantee makes customers more likely to return to the store, as it increases their feelings of satisfaction. Annmarie skin care uses this guarantee to encourage people to buy its products. This is how to add a money back guarantee to your site. State what customers can return. Be clear about the expected refund amount. Specify the return period, and what the customer must do before the return period ends. Give the address for returns. State whether you accept exchanges or not. Include a clause for discretionary changes to the policy. Michael Aagaard says that calls to action (CTAs) are the tipping point between a bounce and a conversion. Why? Because knowing the psychology behind it enables you to convert more shoppers who would otherwise abandon their carts and ignore your retargeting campaigns. CTAs form a part of the logical progression of a webpage or landing page called perceptual set theory. CTAs also drive curiosity and anticipation. 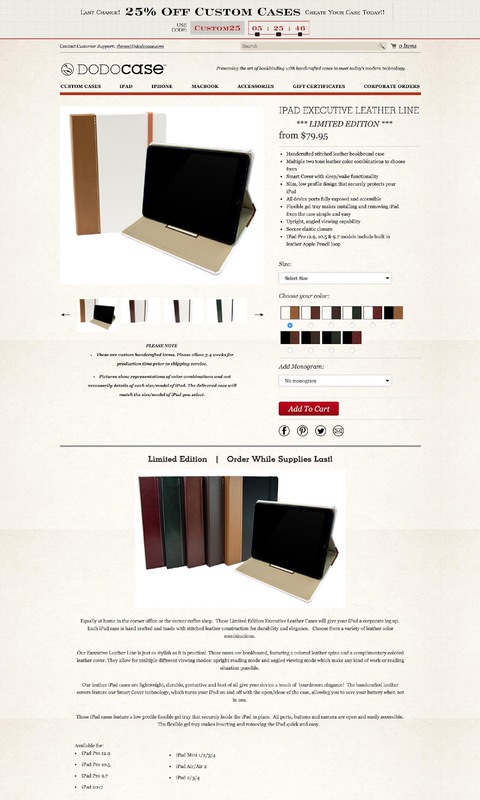 Dodocase, for example, makes its CTA pretty obvious, encouraging the user to take action. Make your CTA obvious by making it bold and using a contrasting color. Include secondary calls to action. Give it some space so it doesn’t get lost in visual or textual clutter. Making navigation easy between an online shopping cart and product pages is an effective way of getting users to stick with the process until they check out. Just like in the real world, a user’s shopping behavior is rarely a linear process. Research indicates that conversion rates can be increased by as much as 18.5% by giving users a smooth or friendly navigation experience. ASOS uses a simple menu that is always available, whatever page you might be on. Do not place too many items in your navigation, to avoid overwhelming customers with the number of items they must process with their short-term memory. Get the order right. Studies show that items placed at the beginning or end get the most attention and retention. Retargeting site visitors who abandoned their shopping carts can be quite successful if done right. Such retargeting is generally is done via email recovery campaigns or advertising retargeting. A Comscore and ValueClick study found that compared to other tactics, retargeted ads were twice as effective in getting shoppers to search for a particular brand. automated their retargeting bidding process for AdWords using ROAS (Return on Ad Spend) functionality. used RLSA (Remarketing Lists for Search Ads) and added positive bid modifiers on those who had bought previously as well as those who had abandoned their shopping carts in the last seven days. targeted people who had bought products from other retailers, using Gmail-sponsored promotions. With these ads, they ran cross-sell campaigns on complementary products to what the audience had just purchased. The results were that they added another 15% in revenue and their time spent in managing retargeting campaigns improved by 25%. So how do you retarget visitors who abandon their shopping carts with advertising campaigns? 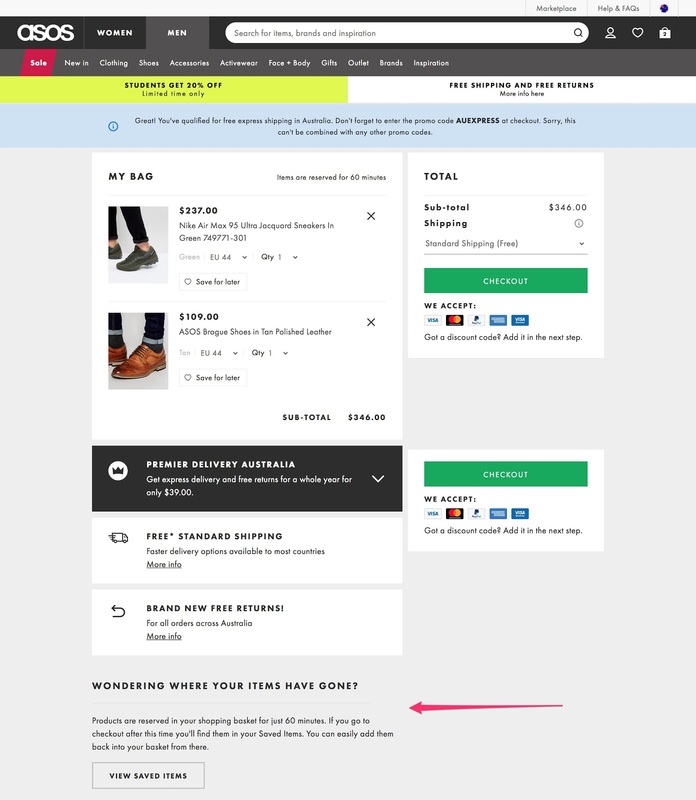 Segment your cart abandonments so you can personalize the experience. Three categories you may want to start with are: value of cart; first time vs repeat buyers; and product. Set up your tracking pixel. Select your timeframe and frequency for which ads are to be shown. These numbers must be based on the behavior and demographic characteristics of your audience. Develop your ad copy and prepare variations of it, to avoid ad fatigue. These 13 ways to reduce shopping cart abandonment aren’t just about increasing conversion rates. They are also about providing a better customer experience. It is easy to gloss over the fact that customers unfamiliar with your business will often scrutinize every element on your page or site, often on a subconscious level. So, if you are proactive in reducing their fears and objections, you could get more people moving from the checkout to becoming actual customers. With this in mind, it helps to view abandoned shopping carts as a reflection of the overall customer experience and customer service you offer. By applying a few of these tactics to your e-commerce site, you could see more revenue coming in from those who would otherwise have abandoned their shopping carts.